Prof Dr Nguyen Ngoc Giao, chairman of the HCM City Union of Science and Technology Associations warned about the current situation in attracting talents which he described as "nails are put under carpets" at a conference yesterday. The scary nails are in fact administrative procedures, he said at a social feedback conference hosted by Vietnam Fatherland Front HCMC Committee on the city’s talent attraction project in the phase of 2018-2020. The project aims to attract experts, scientists and young creative workers to work for HCMC agencies and Saigon Hi-Tech Park. 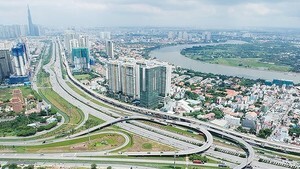 It is one of projects to implement National Assembly Resolution 54 on piloting specific mechanisms for HCMC development. According to Mr. Giao, the project seems to lure cadres instead of talents and experts as it has deviated into the spirit that experts and talents need the city while talent attraction is that the city needs them. Most experts and talents have stable jobs so HCMC must show them benefits if they work for the city, he added. 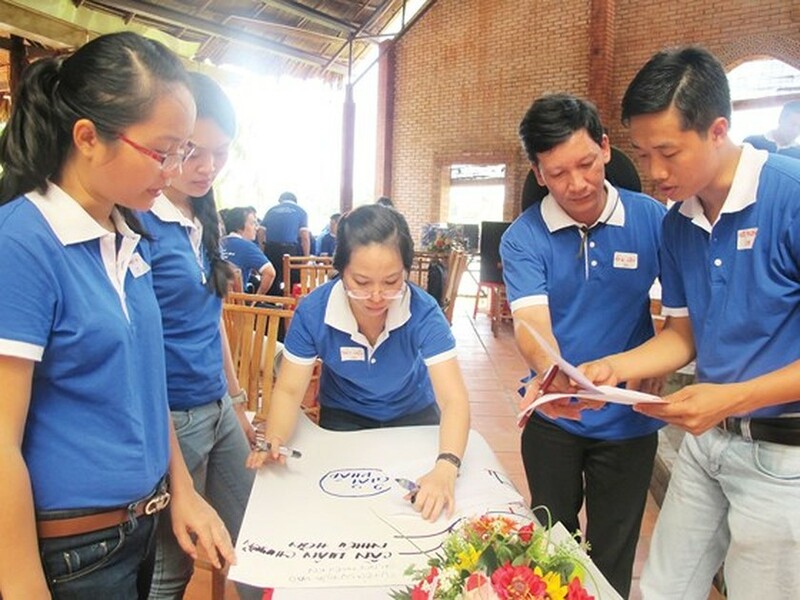 Mr. Pham Hong Son, secretary of Ho Chi Minh Communist Youth Union in HCMC, commented that the concept of young creative workers is unclear and easy to cause mistaking. Most of good experts are humble and do not self-recognize themselves as good experts to receive special treatment. The draft project has not specified the way to spot talents and who is responsible for that, he added. Besides issuing the policy of attracting talents, the city should take the initiative in seeking them. Saying that talent nurturing is a process, Prof Dr. Dang Van Phan from Cuu Long University said that the city should not wait until people become doctors and professors to invite them to work for the city but incubate and nurture potential talents to prepare for the future and for city sustainable development. The draft project lacks regulations on how employers will create working environment for talents to develop and devote. 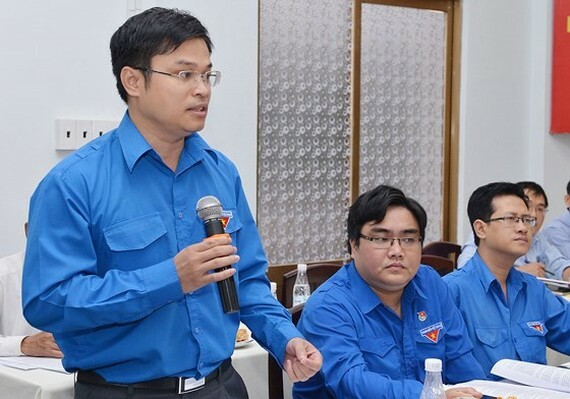 Prof Dr Nguyen Ky Phung, deputy director of the HCMC Department of Science and Technology, said that wage was not too important to overseas intellectuals but working environment and treatment way. Mr. Phung proposed the city to be softer and more transparent as overseas intellectuals are very allergic to preparing curriculum vitae as complicated as cadre and official recruitments. Associate Prof Dr Tran Hoang Ngan, director of HCMC Cadre Academy, said that a scientist now must report, sign and do many types of papers. The city should cut and streamline these procedures to give agencies more rights to decide their recruitments and wage level for scientists. Mr. Ngan said that finance is important but the more important thing is working environment for scientists to freely donate. Hence HCMC should have a mechanism to create such a free environment. Associate Prof Dr. Do Thi Hong Tuoi from HCMC Medicine and Pharmacy University, said that the city should ensure transparency in talent luring phases unless it will be difficult to draw young people. After recruitment, the city should publicize documents of the chosen to let rejected ones be convinced and prevent not good public opinions about successful candidates. About the maximum working time of 18 months according to contracts, most delegates at the conference said it too short for talents to set their minds at rest. Prof Chu Pham Ngoc Son said that with such a short time, only retired ones want to work for the city not young people who are working abroad because they are unclear about jobs after contracts end. Delegates suggested the city to have specific projects and requirements for experts and scientists to take part in instead of calling on talents in a general way.